I actually feel as if I’m back in dental school, except this time, I’m not the student…I’m the teacher. My goal with this entry is to make sure that information relating to TMJ, which can get quite technical, is presented in a non-technical and easy to understand manner. If, however, you have questions about TMJ or TMD that have not been answered, please feel free to e-mail me or drop in for a consultation. If you place your fingers on either side of your face in front of your ears, you can feel both of the TMJs. When you open and close your mouth, you can feel both joints move harmoniously together. The difference between both TMJs and other joints in the body, i.e., a shoulder, is that it is possible to move 1 shoulder at a time. Whereas, with the TMJs, they must work together…you can’t move them separately. The TMJ is a ball and socket joint that move up and down, from side to side and forwards and backwards. It is called the Temporomandibular Joint because it joins the mandible (jaw) to the temporal bone of the skull. In between the mandible and the temporal bone, there is a fibrous disc called the ‘articular disc’. It is like a cushion (and shock absorber) which allows the joint to move in different directions. There are discs present at all of the moveable joints in the body. If there were no discs, then the bones at these joints would rub against each other and not be able to move freely about. 1) Temporalis Muscle: This is the large fan-shaped muscle on the side of the skull which helps to open and close your jaw. If you place your fingers on the area of your temples and clench your teeth together, you can feel this muscle contract. 2) Masseter Muscle: This is a large muscle that helps to close the jaw and enables you to chew. If you place your fingers on the lower back angle of your jaw and you clench your teeth, you can feel the masseter muscle. 3) Pterygoid Muscles: These muscles are located deeper and on the inside of the jaws. They help with opening and closing and side to side movements. When I was writing this, I thought to myself is this too much information? Do I really need to specify the actual muscles? 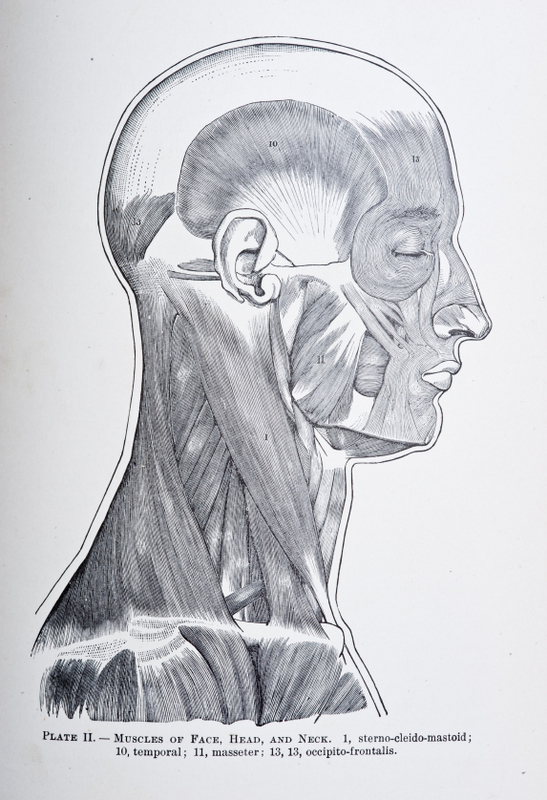 I could have grouped these 3 muscles together and referred to them collectively as ‘muscles of the face’; however, I felt it was more important to discuss each muscle group separately: specifically where each muscle group is located and what their actual function is. This way, if you have facial or jaw pain, you may be able to understand where it’s coming from and which muscle group is causing it, i.e., pain in your temples could be related to clenching and over use of the ‘Temporalis’ (large fan shaped) muscle. It is important to note that the most common cause of facial pain are problems relating to the muscles mentioned above. In fact, 60% of all cases of TMD are attributed to being muscular in nature. In the next entry, we’ll review the different causes of TMD. If you have jaw pain, it could be that you’re suffering from TMD. Treatment for TMD is as close as Dr. Robert Axelrad & Associates dental clinic in Brampton, Ontario. We can help. Simply dial (905) 791-3867 today to book a consultation. We’re located at 40 Finchgate Blvd., Suite 121, in the heart of Brampton, Ontario.